IMV’s latest Radiation Therapy Market Summary Report estimates 1,029 thousand courses of treatment with radiation were initiated at 2,270 hospital and freestanding sites in the United States in 2016. This is a 12% decrease from the courses of treatment initiated in 2015. The top three cancers treated with radiation at these locations continue to be breast, prostate and lung. Learn more about radiation therapy treatment trends including capabilities for IGRT, rotational ARC therapy, stereotactic radiotherapy and brachytherapy in the Radiation Therapy Market Summary Report. 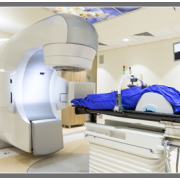 Market share, age and features of installed radiation therapy units, treatment planning units, simulators and brachytherapy equipment are also provided. Find information about the productivity of radiation therapy staff and their satisfaction with their equipment service providers from one or more of the IMV products listed below. This report summarizes the results of interviews with over 500 sites where radiation therapy is performed. It covers national trends in courses of treatment, installed equipment, equipment purchase plans, and capital equipment budgets.